The staircase with 12 mm gauge satinised stainless steel band structure has no fastening screws in the parts in view, with scotch bright finish. 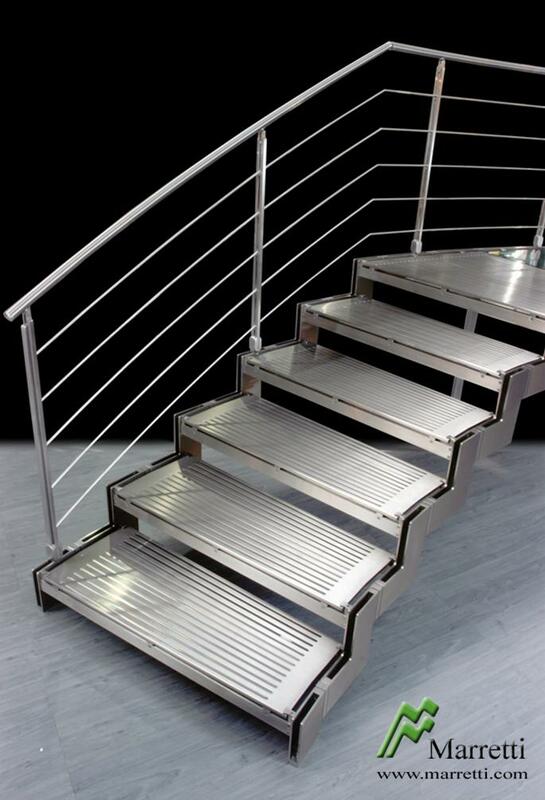 The steps are made of 6 mm gauge satinised stainless steel folded at a right angle above and below to give the structure higher torsional rigidity. The staircases are tested with a certified load test for a total capacity for each step of 150 Kg. 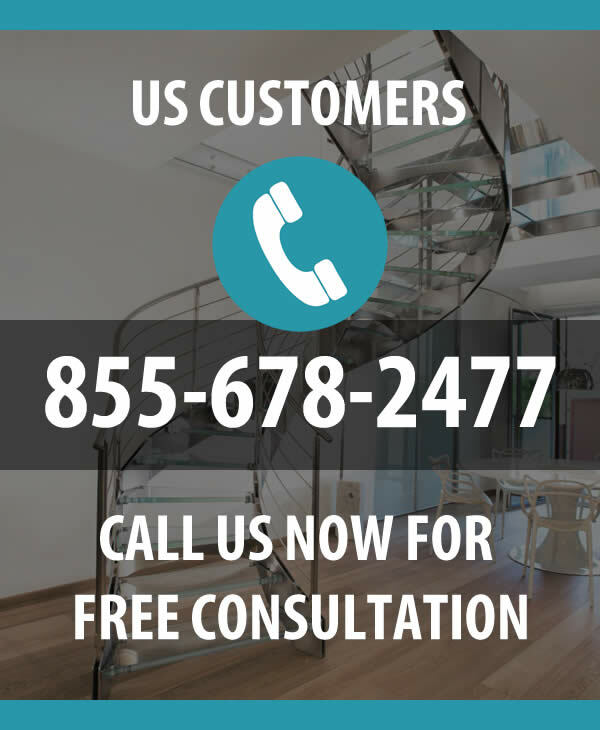 The banisters, the model of which is registered, are completely made of stainless steel with no welds and with only mechanical fastenings.